It's Autumn already. It's actually Autumn! Goodbye sandals and Summer dresses, hello cosy blankets, hot chocolates and booties. I feel like 2015 has been the fastest year of my entire existence. 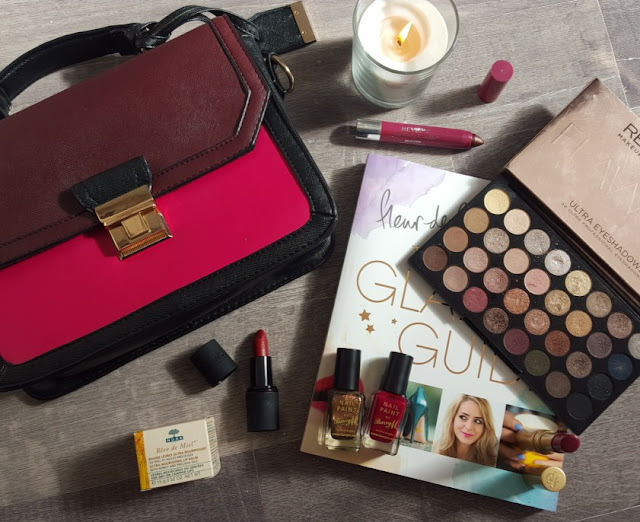 Now the day's are getting colder and Autumnal shades of berries and purples are beginning to appear I thought I'd share with you some of my beauty must-haves and Autumn/Winter essentials. When Autumn comes to an end and we're quickly going into the winter the sudden change is weather can be drastic on my hands and I find a good hand cream really helps get rid of any dryness. 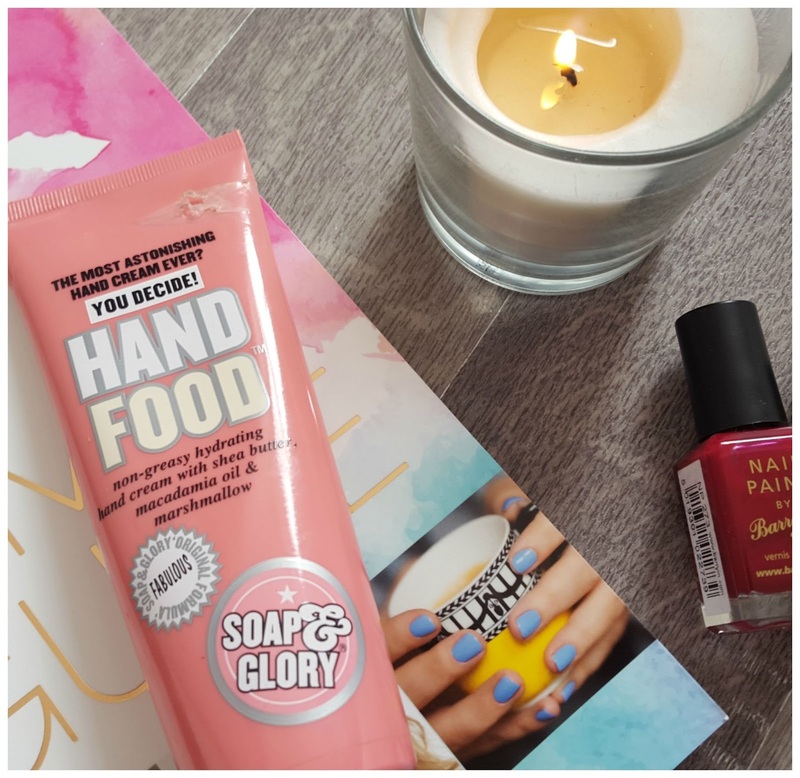 I like to cover my hands in the stuff a couple of times a day and one of my favourites is hand food by Soap & Glory. I find with this a little goes a really long way, it keeps my hands feeling really hydrated, and it smells amazing. It also come in a 50ml mini which is perfect for popping in your handbag. Barry M are one of my favourite high-street brands for nail polish; both affordable and great quality. 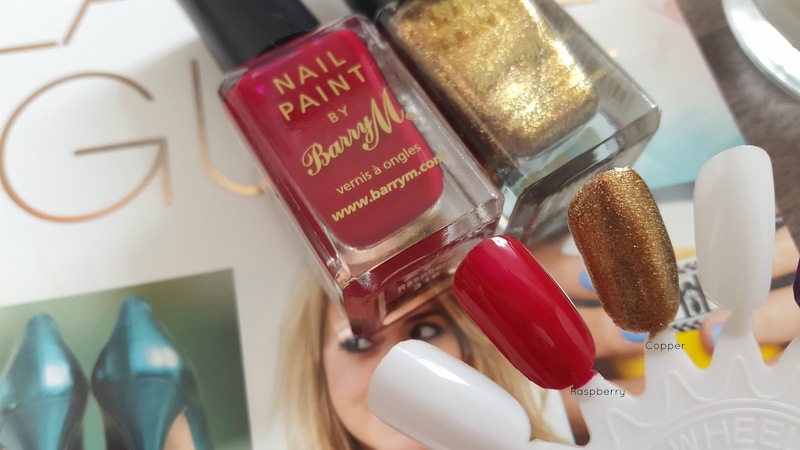 I'm aware the above shades (Raspberry and Copper) resemble something from Christmas time but I think these are both great shades for Autumn, too. Makeup Revolution have taken the high-street by storm, providing people with great quality make up at really affordable prices. 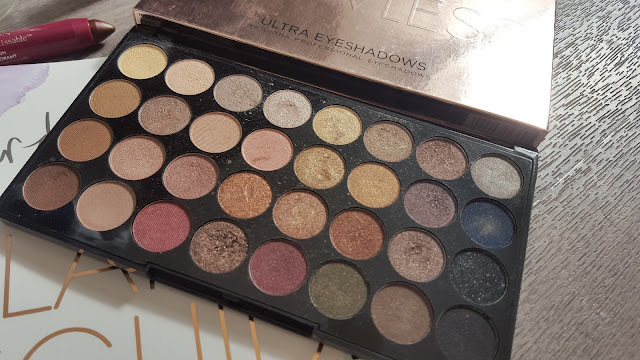 I found Makeup Revolution have several great Autumnal palettes in there collection and two of my favourites are Flawless and Affirmation. Both palettes have an amazing shade range with golden, brown and purple tones - a perfect mix for Autumn. 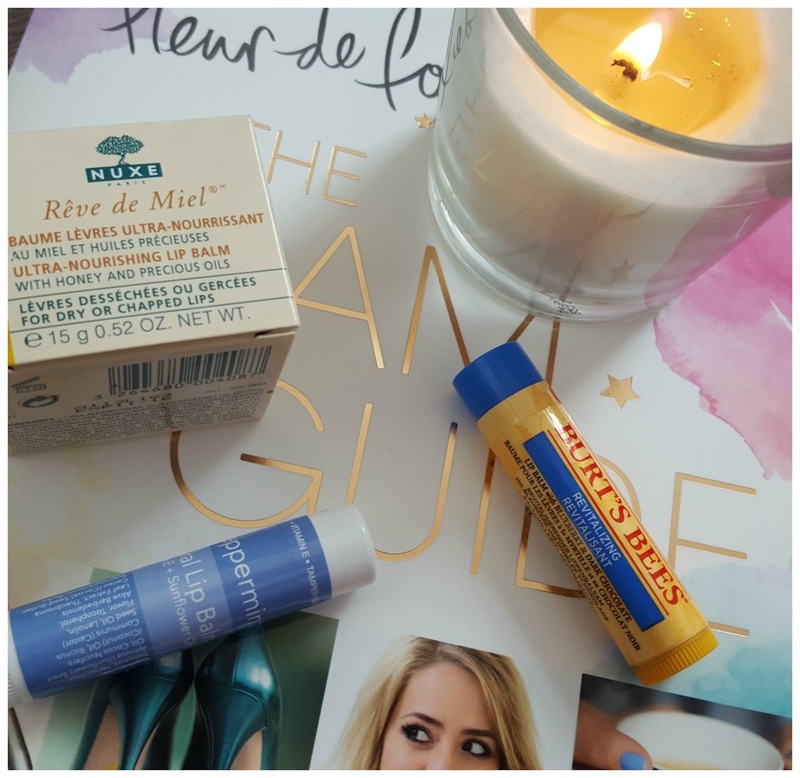 Another Autumn must is lip balm, butter, whatever you like to use to keep your lips protected and extra hydrated. I think for most of us winter comes and our lips get dryer and start cracking and become some what of nightmare. I've been lucky where I've never suffered from dryness or cracking but I keep my lips moisturised to prevent that happening at all. 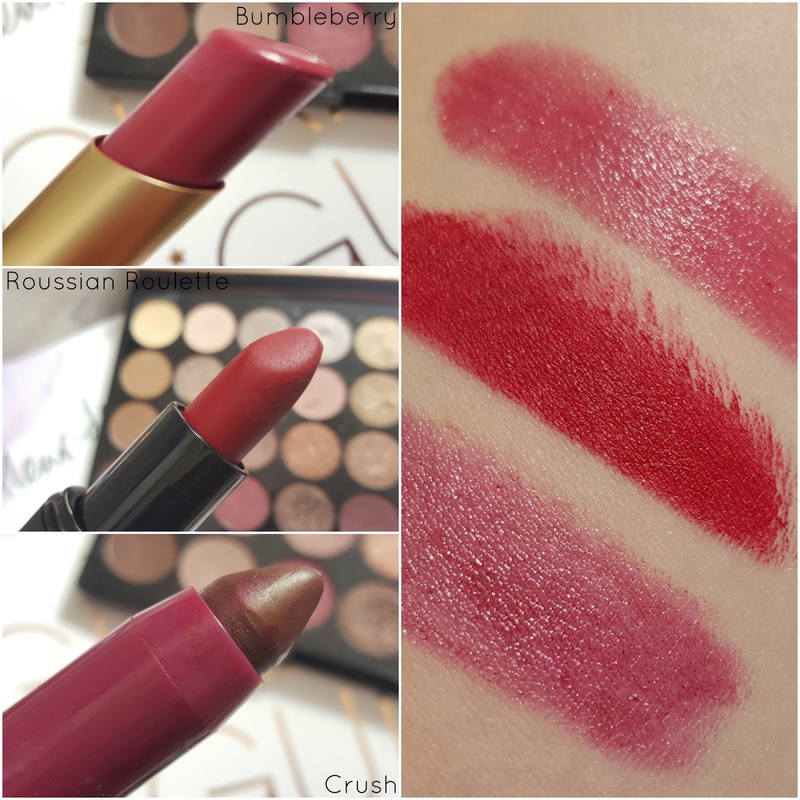 I was looking at Gosh Russian Roulette the other day - it does actually look like an almost exact dupe for MAC Russian Red! I really want to try that MUR set, it's the perfect shade range for autumn. that revolution palette looks incredible and so nice for autumn/winter :) Great picks! Those lipstick shades are so pretty! Really loving Bumbleberry and such a cute name! Is there anything better than fall beauty products? I love those nail colors and even though I'm not brave enough to try them out, I LOVE this lipstick shades!